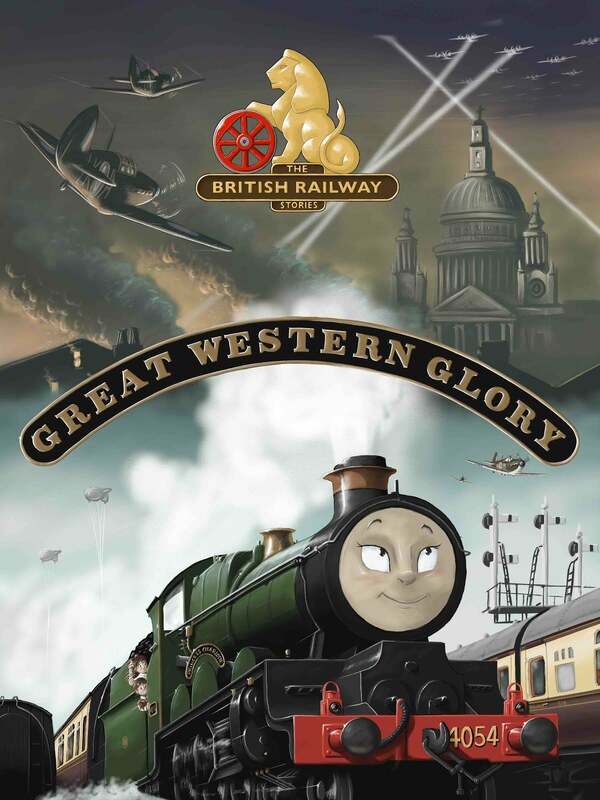 THE BRITISH RAILWAY STORIES LTD: "Doncaster or Darlington..."
Otherwise titled: ah, damn it! One thing I managed to miss was that the Peppercorn A1s were built at two different locomotive works - Darlington and Doncaster. The main difference (in fact the only difference I can see, visually) is that the Darlington examples don't have the riveted cab sides and tender sides of the Doncaster built examples - the rivets used on the real locomotives were flush riveted, and therefore the sides are smooth. 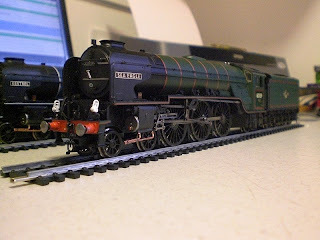 But it has to be said, the reason I picked this particular Bachmann model was so that I could have 60130 in the express passenger blue - the livery my grandfather remembered seeing her in, and my favourite of the BR liveries. 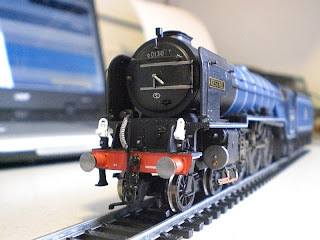 It seems Bachmann has not done another run of their Peppercorn A1s in blue, and definitely not any Darlington examples, as opposed to Doncaster built examples. Having said that, I have decided to leave Kestrel like this for now. The rivet issue is annoying, but it doesn't jar on my eyes nearly as much as the latest A1, King's Courier does. It has a split smokebox handrail which the real King's Courier, it seems, never carried. It's also aesthetically odd: I much prefer the early or the last design of smokebox doors the A1s carried. Besides, the smoke deflectors can be swapped over to another A1 model, as can the smokebox door, when/if I get a few donor models with the correct cab sides and tenders! Just think: fictional locomotives don't have these sorts of problems! 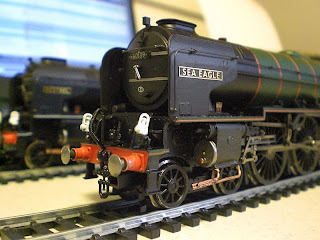 I can see why Robin Green over at Treoch likes his fictional machines - it does actually save on counting the rivets!!! Plus, you can get some lovely names which make your own models a little more unique. So, perhaps I could continue with the bird namers a little - 60166 Herring Gull, 60169 Gadwall, perhaps 60171 Capercaille? Hell, I could even choose donor models for 60166 and 60169 that were "built" at the same works as their A4 predecessors! And I haven't forgot that I still have the plates for a certain 61676, Charlton Athletic either...!! !